Register to become a Chapter and join Chapters around the state making a difference in Massachusetts! FUNDING AVAILABLE! April Activity of the Month Available Now! 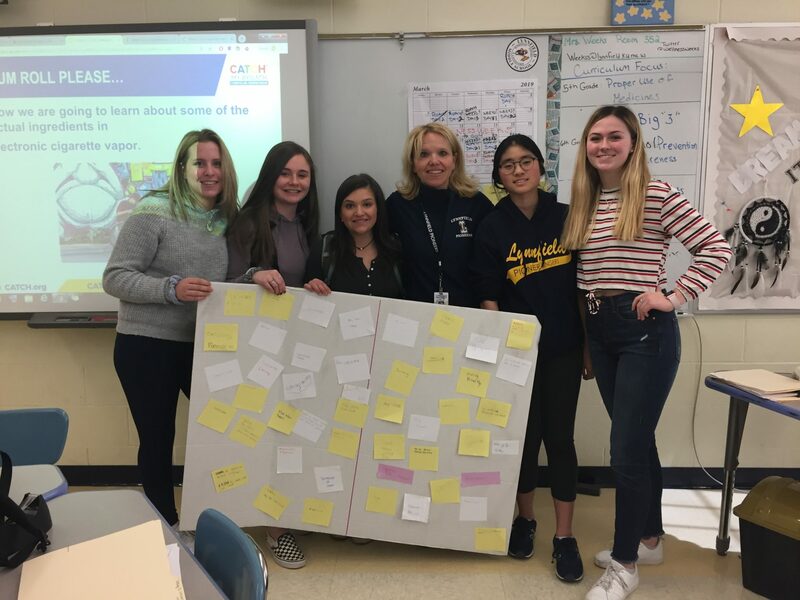 On March 11-13, our awesome Healthy Lynnfield high school team taught a lesson on vaping prevention to over 170 7th grade students at Lynnfield Middle School! The 84 represents the 84% of Massachusetts youth who did NOT smoke when the movement began. Now, 93.4% of youth do NOT smoke.